A new and exciting version of the well-known game Rock-Paper-Scissors, where there are no coincidences and you have to think strategically if you want to win the game. The winner of the game is the player who gets 4 points first. 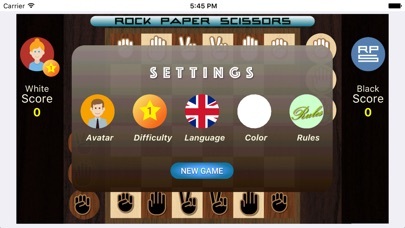 A point is won by eliminating one of the opponent’s ROCK or PAPER pieces. 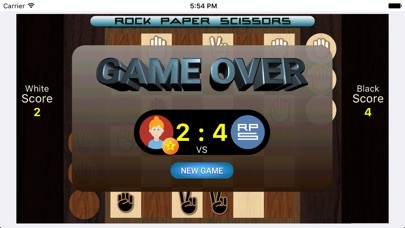 You can win 2 points by eliminating one of the opponent’s SCISSORS pieces. The players take turns moving their game pieces. A player can choose to use his turn A: Either to move a game piece standing on a round spot. B: Or to move one of the game pieces on the squares on the game board. One move is composed of three steps. In each step, the piece is moved from its current square to one of the unoccupied neighboring squares. 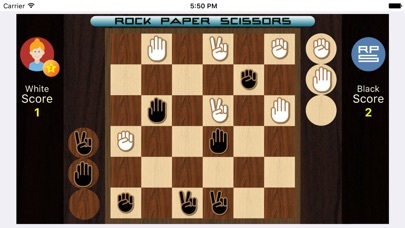 One of the opponent’s pieces can be eliminated in the third step if it is standing on a neighboring square. 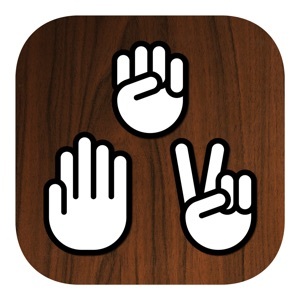 The same rules apply as in the original Rock-Paper-Scissors game: ROCK CAN ONLY BEAT SCISSORS. SCISSORS CAN ONLY BEAT PAPER. 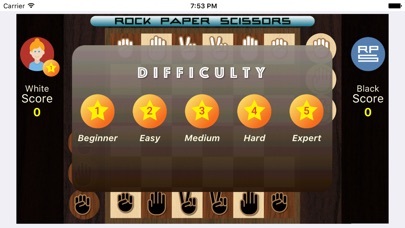 PAPER CAN ONLY BEAT ROCK.